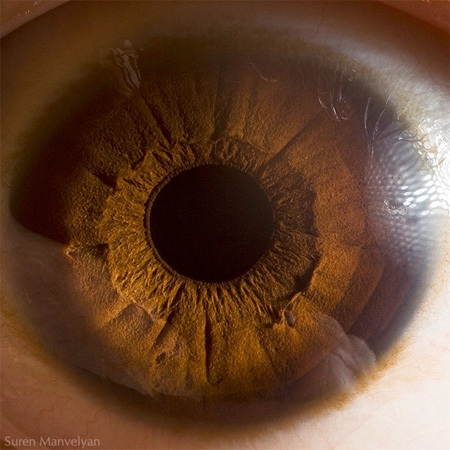 Incredible photo series by Suren Manvelyan features extremely detailed close-ups of human eyes. well, they look a little bit gross, but beautiful nevertheless. Bäh! I would never want one of these! Yeah, I really like macrophotography. But these kinda weird me out. This is kinda like iridology right? Beauty in the eye of the beholder. LOL! Trypophobics shouldn’t look at this. As cool as it is, it made me cringe. Great , Just think about the god power who make and design these amazing things . 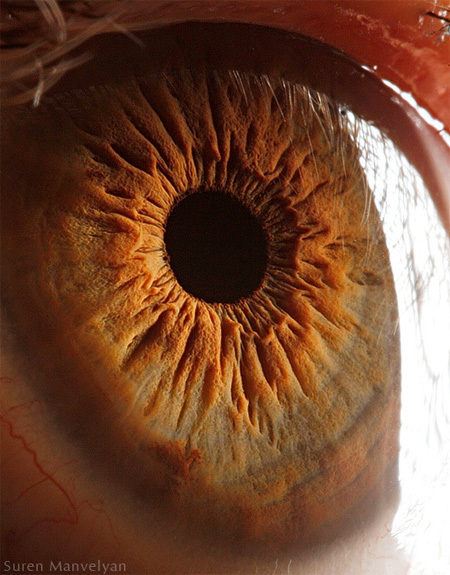 this really… i used to think the eye was a beautiful body part, now, it really just looks like a slice of our brains. Very cool. I love getting a behind-the-scene view of anatomy. I just wish the parts were labeled so I knew exactly what I’m looking at. Rods and cones? what’s the fly-eye looking bit?-is that part of the camera or the eye? Why are some parts golden looking? Does that person have golden eyes? Wow, absolutely amazing. 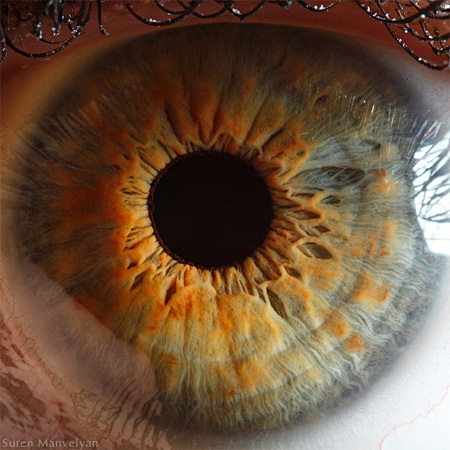 “Eye” would love to give this a go! Machine… you’re saying you’d never want eyes? Now show us the Sharingan! Beautiful!!.. These are path breaking!! They just don’t seem real. Aren’t they done by photoshop? One of the more int interesting things I have seen today. Wish Toxel did more posts like this now and then. Why do some people just automatically assume everything is photoshopped? Sweet Jesus! How did they take these photos???!! First reaction was to cringe. 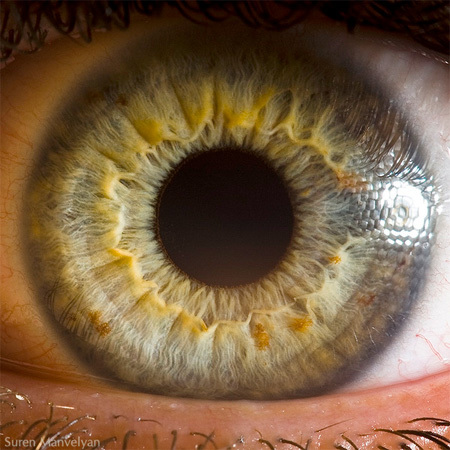 While I love other people’s eyes, suddenly seeing them this way throws a person off. But then the point that these are beautiful surfaces. People really?, ”god did it” it never really surprises how dumb people can be! Nature’s unique art at its best!! Love them! 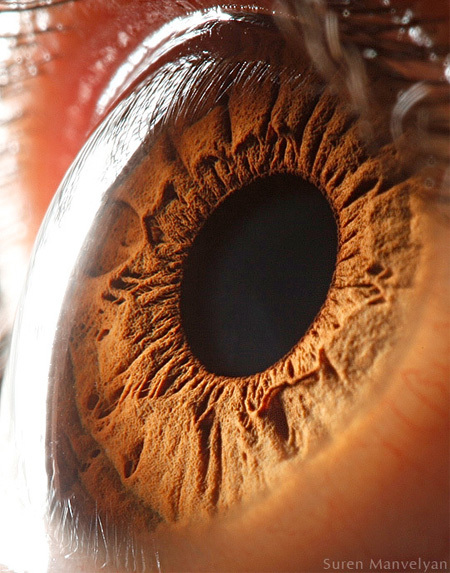 Seeing these makes me want a picture like this of my eyes. 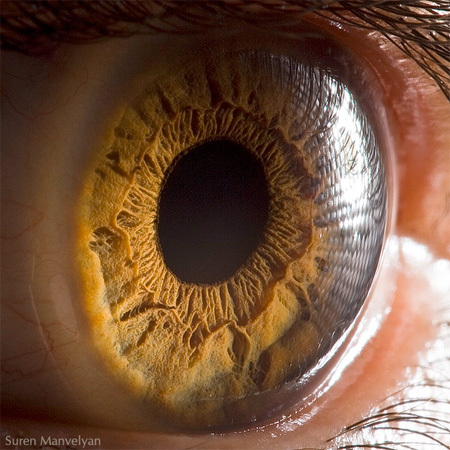 I’d love to compare my eyes to these others. they are like the elements earth wind water and fire! Wow…these are great…! 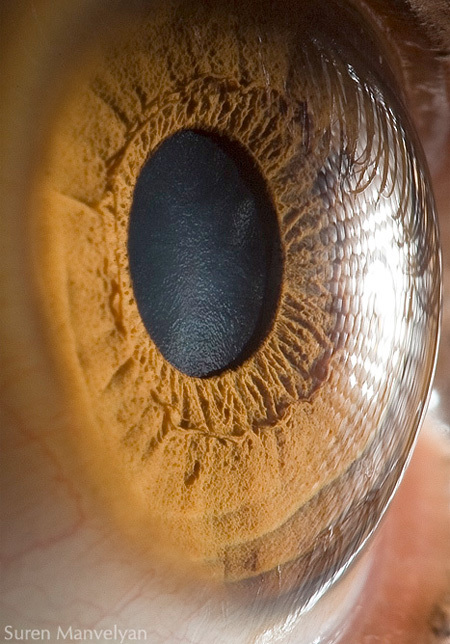 I have been experimenting with my eye and a macro setup…also done some HDR effect with them! Check them out if you got time..
Wow, how sophisticated God’s design is. Glory to the Most High! it makes you think there is an entire world inside each of them. Gorgeous. One reminded me of crater lake. That just blew me mind! Beautiful, ghastly, awesome, and the product of 1/4 of a lifetime of passion. This is some amazing work, and it probably started on a lark. 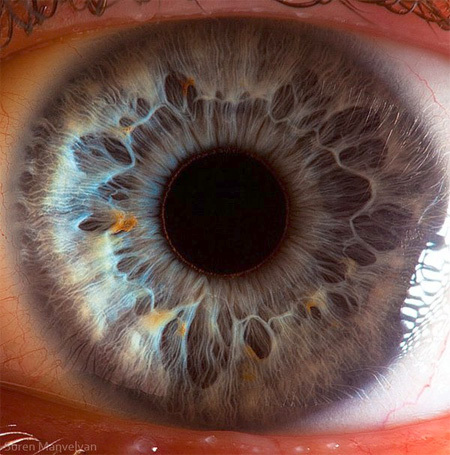 I wonder if this is something an optometrist might see every time they take an ‘Optomap’ of one’s eye…strikingly beautiful. Unbelievable… they are really nice. are just amazingly breathtakingly photos!… that just can’t be real! made me want to barf a bit. These are amazing! The brown eyes look like a desert canyon or something! 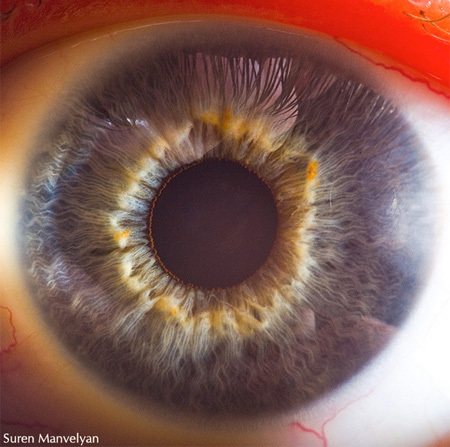 The eye is such an amazing organ! Thats why I do what I do! I would love to see a greater variety of color – like some really blue and its variations as well as really green ones…..would guess they might be even more breathtaking…..